The recent success and popularity of the ITV television period drama Downton Abbey reminded me that the country house that ‘plays’ the title role has a significant Middle Eastern association, linked forever with Egypt in particular, and by familial connection, with Newcombe and Lawrence. The master servant, upstairs downstairs drama uses the magnificent Highclere Castle in Berkshire for most of its external and internal scenes, with the servants' living areas constructed and filmed at Ealing Studios. Since 1679, Highclere has been the country seat of the Earls of Carnarvon, a branch of the Anglo-Welsh Herbert family. It is currently the home of the 8th Earl and Countess of Carnarvon. Set in 1,000 acres of spectacular Berkshire countryside and boasting a park by Capability Brown, Highclere Castle is in the Jacobean style and was redesigned in 1838 by Sir Charles Barry, the architect responsible for rebuilding the Houses of Parliament in Westminster. Barry himself classified the style as Anglo-Italian. The discovery of Tutankhamun's nearly intact tomb received worldwide press coverage and sparked a renewed public interest in ancient Egypt. The Boy King captured the public imagination and exhibits of artefacts from his tomb continue to tour the world. His gold burial mask is not only a key attraction but remains a potent symbol of his status and power. Highclere now houses a permanent exhibition commemorating this historic event. The man who would be King? 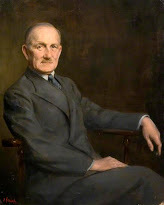 Porchy’s half-brother was the Right Honourable Aubrey Nigel Henry Molyneux Herbert, the second son of Henry Herbert, the 4th Earl of Carnarvon, a British cabinet minister and Lord Lieutenant of Ireland, and his second wife, Elizabeth Howard of Greystoke Castle, Cumberland. 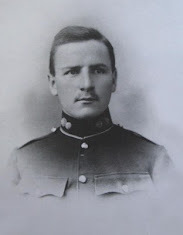 On 1st September 1914, Aubrey Herbert was shot and wounded as he rode his horse Moonshine at breakneck speed along the edge of a beech tree wood delivering orders to a division of the Coldstream Guards that was holed up in a copse near the village of Rond de la Reine, 25 kilometres south-west of Compiegne, France. Moonshine, a thoroughbred mare racehorse with an impeccable pedigree, had been purchased by Herbert only a few days before in a nearby village for forty pounds. She held up surprisingly well under the fusillade of fire that was sweeping the open field towards the trees and after Herbert was hit her racing spirit carried him onto his regiment where he was treated for a single bullet wound to his stomach. Later that afternoon Herbert became a prisoner of the Germans when they overran the woods where he lay injured on a stretcher. He was moved to a makeshift hospital which was in turn retaken ten days later by the French, a scene replicated many times in the area during the confusion surrounding the ebb and flow of the retreat. Herbert underwent a second operation to extract the fragmented bullet that was still causing him considerable pain. Two days later he left France to transfer to hospital in England. On the way he passed the woods and witnessed the fresh communal grave of one hundred and twenty men. It was the 13th September, exactly a month to the day since Herbert had landed in France. That he was in France at all was nothing short of an impertinent deception that could only have been carried out by someone with Herbert’s nerve. His shockingly poor eyesight, a defect since birth and put down to a congenital imperfection blamed on the consanguinity of his parents, would certainly have ruled him out for active service. So how did he come to be there? In a stunt resembling a university prank, Aubrey had brazenly walked into a military tailor and asked to be fitted out in a uniform of an officer of the Irish Guards. Then appropriately kitted out he later simply sidled up to the departing regiment as it marched out of Wellington Barracks at seven in the morning and joined their ranks as they crossed Vauxhall Bridge on their way to Nine Elms train station. Reaching Southampton he lost himself amongst the melee of soldiers as they embarked on a troop ship bound for France. Once on board he was somehow able to bluff his way into the regiment with the rank of Lieutenant as it steamed out of harbour. In this most extraordinary manner, Herbert was on his way as perhaps the most incongruous member of the British Expeditionary Force. Before Herbert’s name was put forward for a role in the new Cairo set-up, he had thoughts of returning to the front, but his poor eyesight was finally exposed and he waited like Lawrence for Turkey to show her hand. The Turkish decision to side with Germany was a blow to Aubrey Herbert who had hoped for neutrality. He was eventually ordered to the east because, as he put it, ‘it had been my fortune to have travelled widely, and I had a fairly fluent smattering of several Eastern languages.’ This experience and knowledge would be put to good use in the new Intelligence department that would soon be formed in Cairo. Herbert travelled out by the slow route via Gibraltar. 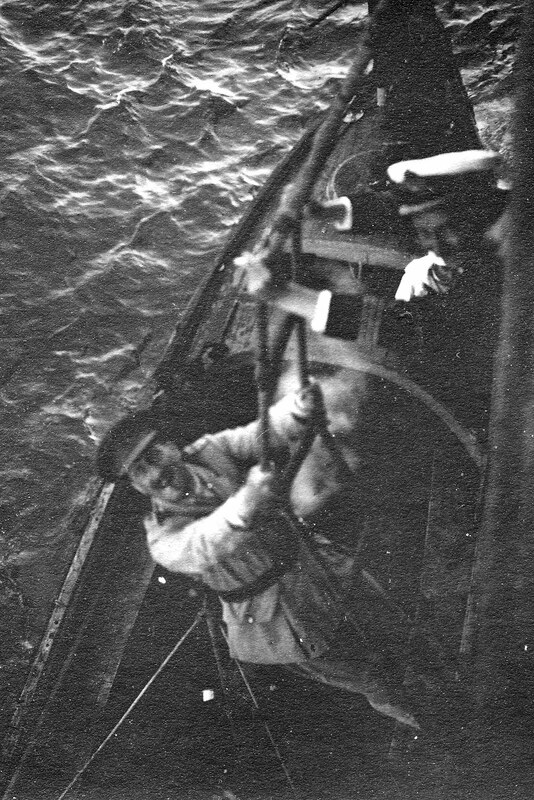 With him on the ship were Leonard Woolley and George Lloyd. Lloyd was an old friend who had shared the role of honorary attaché in Constantinople. They ran into heavy seas out from England and the ship pitched violently, although not enough to interrupt the chess games the men played to pass the time. 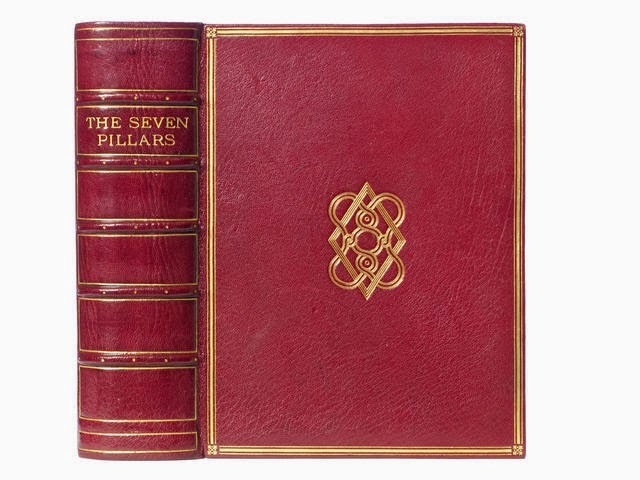 While Herbert was studying Arabic his place was taken either by the architect Edwin Lutyens or the painter William Nicholson who had joined their group for the duration of the voyage. At Gibraltar the news that an enemy submarine had passed through into the Mediterranean kept everyone alert. 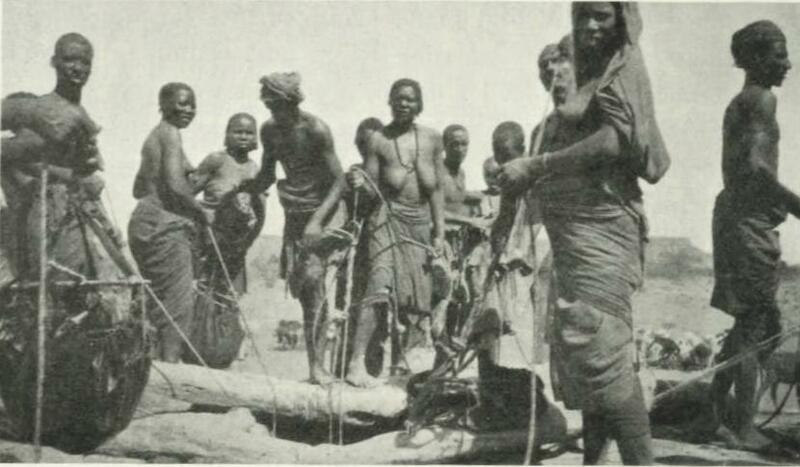 Once they safely reached Cairo on Friday 18 December the men went to their appointed quarters. Herbert chose to take up residence at Shepheards Hotel where he was soon joined by his wife Mary and a few weeks later by his mother, Elizabeth, the Countess of Carnarvon, who left the comfort of Highclere Castle to be with both her sons after the Foreign Office transferred Aubrey’s younger brother, Mervyn, to Cairo. The Countess would arrive just in time to see them depart for Gallipoli. 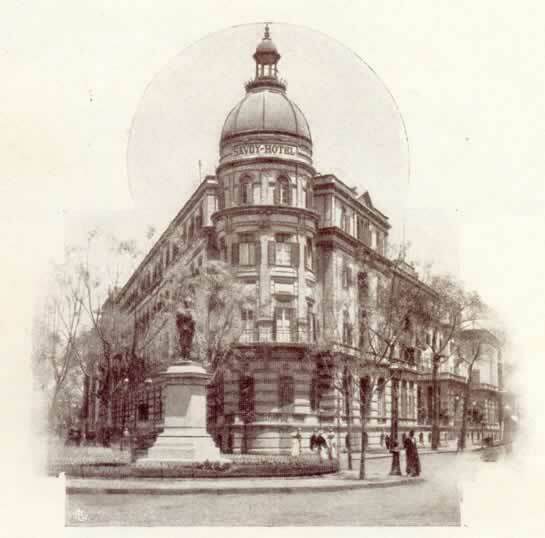 In the meantime, Herbert was assigned to the offices of Military Intelligence housed in the Savoy Hotel, positioned on a prominent corner of Midan Soliman Pasha and identified by its distinctive rotunda tower. Even before being taken over by the British Military, the Savoy was decidedly English in character, although Aubrey Herbert likened it to an oriental railway station, with its bustle and jangling bells and running to and fro. Before long, Herbert became deeply discontented with his position within the office and began manoeuvring for a more fulfilling role. His frustrations arose principally from a clash with Newcombe, rather than from any real discontent with the duties assigned to him. In any case, most of the more mundane tasks, such as amending a large map to show current Turkish troop movements, were in fact undertaken by his batman, Johnny Allen, who went everywhere with him. Herbert’s dislike of Newcombe was class based and he made no attempt to disguise his disdain for the senior officer. 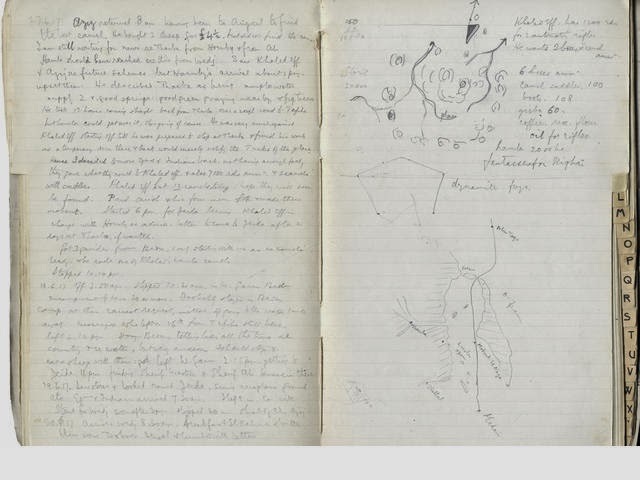 He noted down his thoughts in his diary and even shared his views with George Lloyd, who tended to agree. 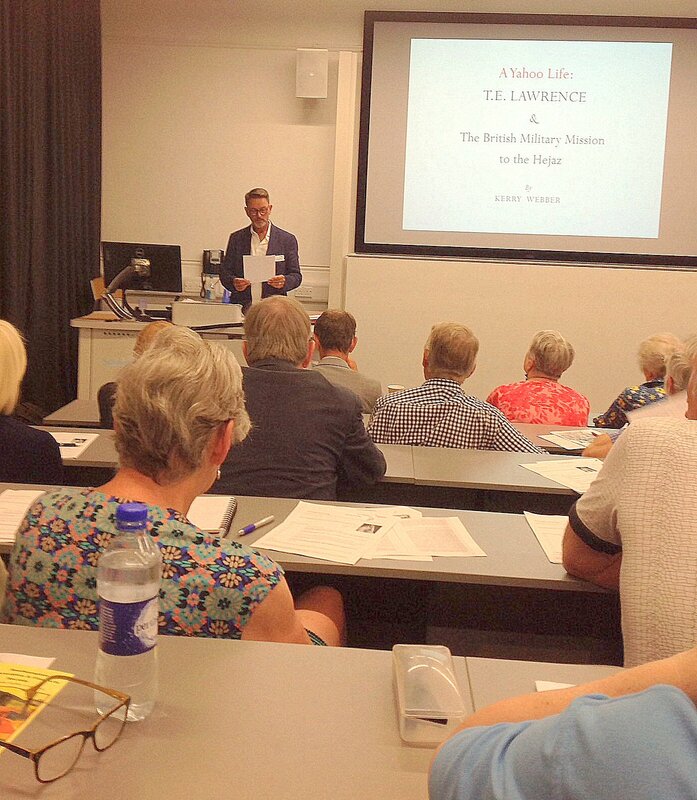 Even Lawrence did not come out of this first round of character assessments too well, although Herbert’s description of him as ‘an odd gnome, half cad – with a touch of genius’, afforded Lawrence with at the very least a blended compliment, as well as providing future biographers with an eminently quotable phrase. Most first impressions in the office were apt to change over time. Not so with those formed of Newcombe by Herbert. Amongst this congenial coterie of university-educated amateurs, with their impeccable connections and impressive titles, Newcombe was clearly the odd man out. A professional soldier with years of loyal service, he was now in command of a group of what he might rightly have considered to be elitist dilettantes, albeit most of them holding perfect credentials and with highly relevant experience for the present undertaking. 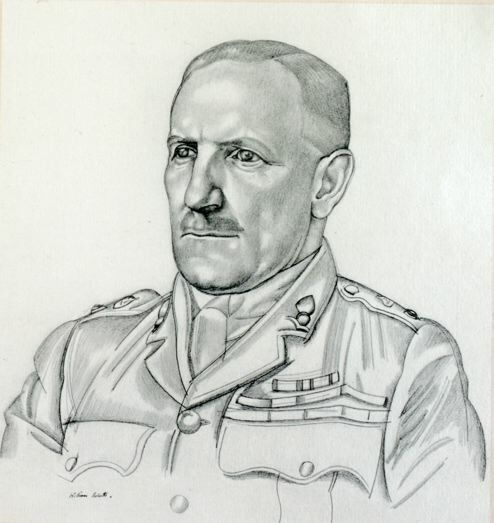 But it must have rankled, on both sides, and although Newcombe seems to have conducted himself in a thoroughly professional manner within the rigid and hierarchical military structure, his patience must have been sorely tested by men like Herbert who after all had donned his military uniform by deceit. With only a short period with the Territorial Army before the war, Herbert was likewise ill-equipped to deal with Newcombe. Unfortunately, these tensions were exposed most vividly during a testing time when the fledgling department was just getting off the ground and at the very moment the Turks were knocking on the door of the canal defences. Relationships were not improved when a memo written by George Lloyd listing Newcombe’s shortcomings landed on Newcombe’s desk by mistake. Herbert was moved soon after to field duties and tasked with an intelligence-gathering mission on board the battleship Bacchante that sailed the Eastern Mediterranean coastline watching for Turkish troop movements. After a few weeks, both he and Lloyd would be moved from Egypt to form the nucleus of a new intelligence department that was to serve the Mediterranean Expeditionary Force assembling at the Greek island of Lemnos in preparation for the invasion of Gallipoli. Throughout all this, Lawrence remained somehow detached from the squabbling within the office and managed to steer a neutral path between all the personalities. The letters he wrote at the time betray no hint of the problem and he remained loyal in his friendship with Newcombe and unwavering in his admiration for his abilities. 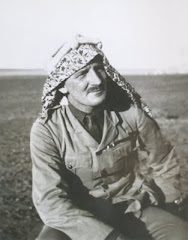 Herbert would go on to have many more adventures during the war, not least in undertaking a secret mission in 1916 with Lawrence to secure the release of the besieged British-Indian garrison at Kut-Al-Amara, 160 kilometres (100 miles) south of Baghdad, and commanded by General Charles Vere Ferrers Townshend. Khalil Pasha, the military governor of the region, refused the bribe of two million pounds and therefore surrender became the only option for Townshend after about 1,750 of his men had died from wounds or disease during a siege that had lasted 147 days. Some 2,600 British and 9,300 Indian other ranks were rounded up and marched away, most to certain death. In fact, 70% of the British and 50% of the Indian troops died of disease or at the hands of the Ottoman guards during the death marches or in captivity. General Townshend sat out the war in some comfort on a small island in the Sea of Marmara, close to Istanbul, and was knighted whilst in captivity. Newcombe would later meet up with Townshend in Turkey when Newcombe, himself an escaped prisoner-of-war on the run, was secretly negotiating armistice terms with the Ottomans while under cover in Constantinople. 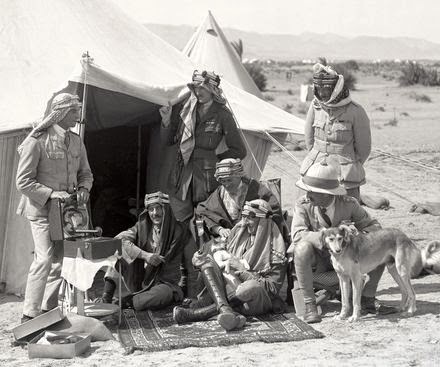 In 1921, Aubrey and his wife Mary welcomed the Emir Feisal, accompanied by Lawrence, to their home at Pixton Park. In the evening, they all played bridge and chess while Feisal fretted about the future. Four months later he took the throne of Iraq. 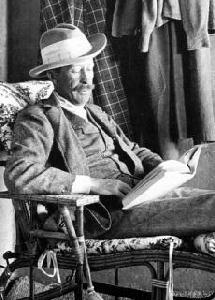 Porchy, the Earl of Carnarvon, and his half-brother Aubrey died within a few months of one another in 1923, both from septicaemia. 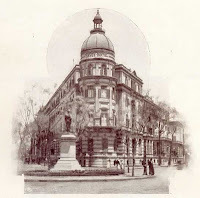 Porchy died in the Continental-Savoy Hotel in Cairo on the 5 April 1923 after shaving a mosquito bite, leading to wild stories about the ‘mummy’s curse’. Towards the end of his life, Aubrey had become totally blind and his right eye was removed to give his left a better chance. He was given bad advice to the effect that having all his teeth extracted would restore his sight. Some weeks later, perhaps remembering the advice or in answer to a twinge of toothache, he had several teeth extracted. The dental operation resulted in the blood poisoning from which he died on 23 September 1923 aged 43. He is buried in the Herbert memorial chapel at the Church of St. Nicholas in Brushford, Somerset, under a wooden canopy designed by Edwin Lutyens. His sword hangs over the tomb. and had its flowers that scent? That filled night's starlit tent. No rainbow's traitor to the truth. As all the ghosts of that dream land. There is a fuller portrait of Aubrey Herbert in Desmond MacCarthy's introduction to Herbert's Mons, ANZAC and Kut. The second series of Downton Abbey premiered in the UK on 18 September 2011, and is due to do so in the U.S. on 8 January 2012. A Christmas special is also planned.